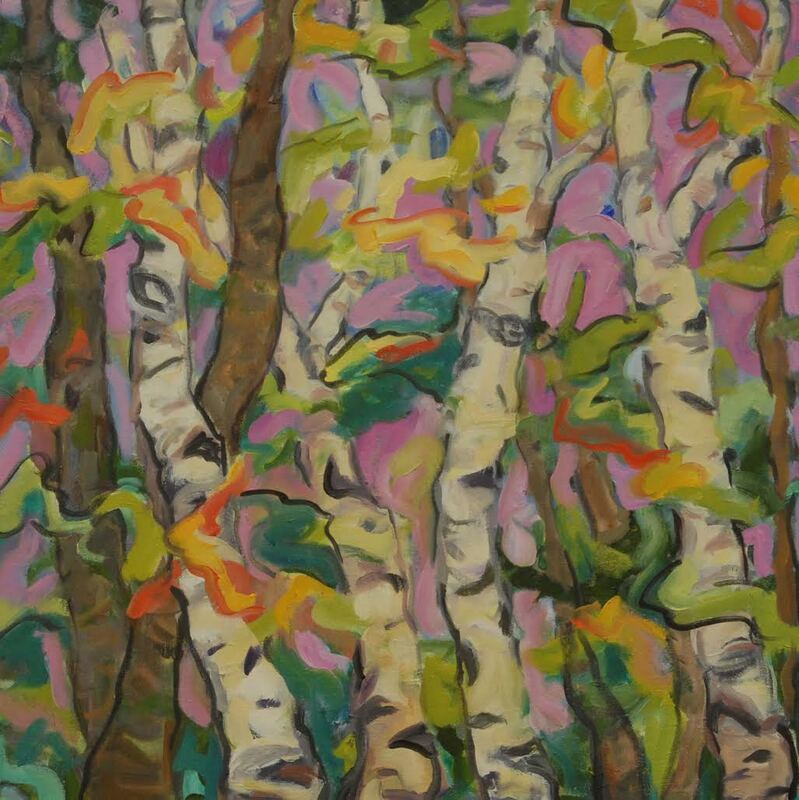 Artist Statement: “My paintings focus on the wooded landscapes found in Sleeping Bear Dunes National Lakeshore. In particular, I am drawn to the forest by the Lakeshore where Lake Michigan is visible through the trees. There are favorite trees that I continually visit. Some of the trees have fallen as a result of destructive storms and my paintings have recorded these trees before their demise. My work interprets the special fondness I feel at these locations through paint. I continue to find a wealth of stunning landscapes here for artistic interpretation at various locations in SBDNL. I focus on the sensory perceptions of landscape. I want to describe the magic that I see by using various levels of representation and abstraction to explore essential elements of landscape. I study each location, finding the best viewpoint until it feels perfect. I pause to discover why it is compelling. While evaluating the view, I absorb my response to interpret this special place. The interpretation will evolve into quick sketches, a plein-air painting or will be photographed for a future painting. I hope others will find meaning inspired by my work. It could spark their memories of this majestic landscape.